Given the nature of our works and being a progressive, forward thinking company, it's imperative for our operations to be carried out with the utmost care and attention. 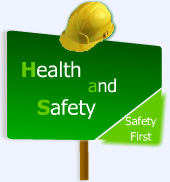 To this end we employ the services of external Health and Safety Consultants as well as in house NEBOSH trained employees, ensuring that our operations are completed safely, on programme, with minimum disruption to ongoing operations, and the general public, with staff operating in strict accordance with the regulatory standards. We prepare and submit fully detailed method statements and safety plans for all contracts. The documents include information on risk assessment, programme of works, organisational responsibility, and Health and Safety issues, with the purpose of ensuring that the project is progressed and completed in a safe and efficient manner. All our personnel receive regular "in house" training. We believe that our enviable record speaks for itself and our commitment to continuous improvement is the key to our continuing success.